For more details on Aimee Hyatt's DogaFit, including rate quotes and availability, please visit the Contact Page. Join the newsletter to receive information about future classes, events and DogaFit retreats. DogaFit Class at Palisades Park! Every 1st Sunday of The Month. 10:00am. The ultimate way to relax & bond with your dog. Physical, mental, and spiritual health are interrelated. Dogs are good for your heart and soul, and we all need time to reset and renew. Practice Doga, canine massage & acupoints on your pup in a private setting tailored specifically to you and your schedule. Nurture and connect with your best friend. Book a class, 3-4 people + 3-4 dogs. 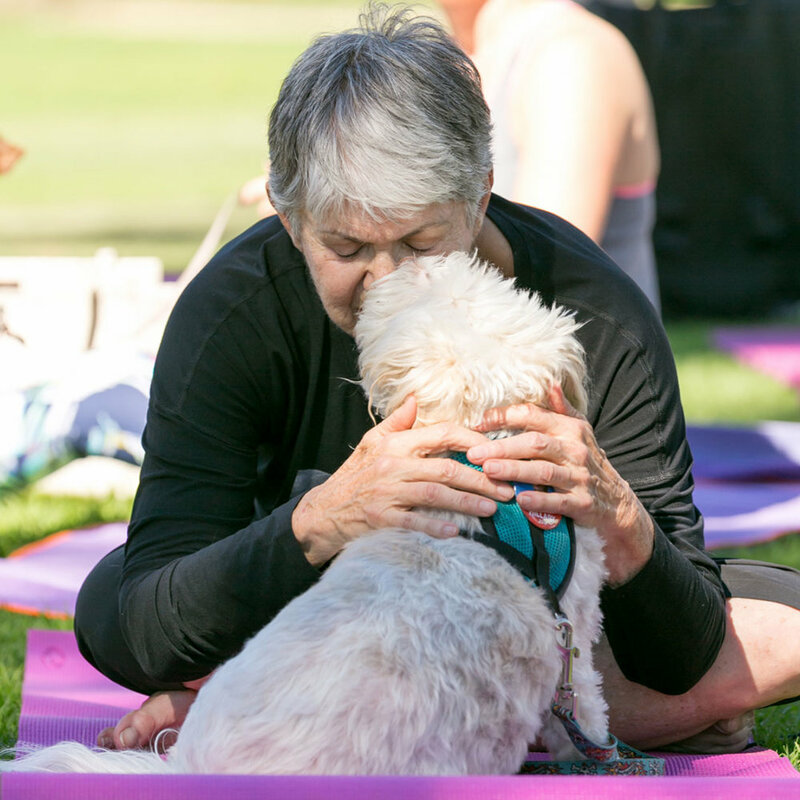 This 75-minute group Doga session is a popular option for dog lovers and dog-friendly businesses who want to offer Doga as a special treat for their very important friends, employees, volunteers, and clients. FEE includes a class size of 3-4 dogs and is held at a location of your choice for a travel fee. Dogs in attendance must be friendly with other dogs. A fun way to draw a crowd! A popular option for larger dog-friendly businesses, fundraisers, and events. The price includes a 75-minute class of Doga, massage & acupressure techniques.